Immigration reform is one of the hot topics since last year’s presidential election. Both sides have known that it needs to be done and have known for years. The difference is that now both sides are willing to talk to each other about it and attempt to work toward a major reform of the system. What brought this issue out from obscurity is that Republicans now see that they have to move on some of this otherwise they will find it increasingly difficult to win any presidential election. And this is no piecemeal attempt but rather a major piece of legislation. Just over a week ago, a group of eight Senators unveiled their proposal for a complete immigration reform bill. Note that this is only their proposals as a group and not the actual piece of legislation that has to be written. So what is this proposal? The first and major part to this is securing and enforcing the border. This part is absolutely essential to grab broad Republican support. Is it a good idea? Probably. If we can’t secure our borders, then we don’t stem the tide and could risk this being an issue again. 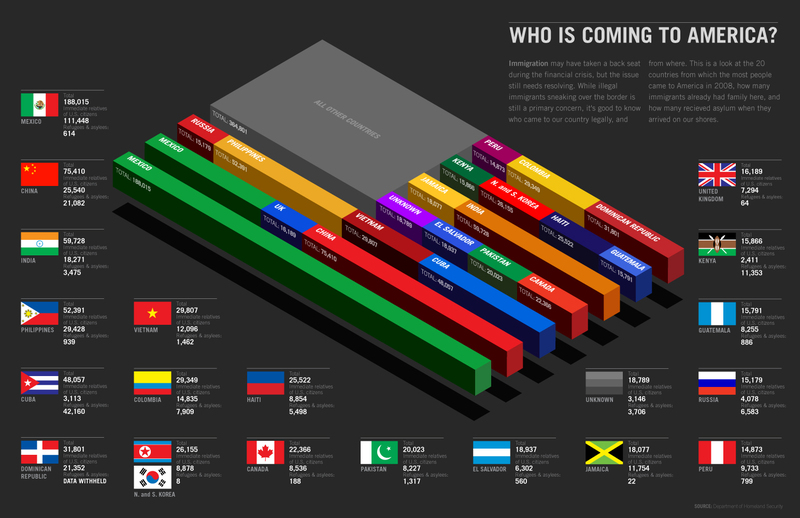 And we need to know who is coming and going from our country. In 1986, an immigration reform bill was passed by the Reagan administration that offered amnesty to the illegal immigrants that were living here then. It also contained a section about enforcing our borders. However, the border enforcement never happened and the amnesty did. The result… here we sit again debating the same issue with the same points. Senator Marco Rubio (R-FL), who is part of the eight Senators, tied the two together in this proposal. That the pathway to citizenship for those living here illegally would not happen this time until the borders are secured and enforced. The problem? There’s no definition to what secured and enforced actually is. This is something Congress would have to put in the actual legislation, and it would have to make sense and be feasible with set goals that can be realistically achieved; otherwise, it could bring down the rest of the legislation. Even Senator David Vitter (R-LA) has come out saying that Senator Rubio is being naive thinking that this will work when it is no different than 1986. As I I just mentioned in the previous paragraph, the proposal does contain a pathway to citizenship for those living here illegally (if the borders are secured first). The illegal immigrants would be forced to register with the government, undergo a background check, pay a fine and back taxes in order to just obtain legal status on a probationary status. And though on a legal status at that point, they would still not have access to federal benefits. It’s only after the enforcement measures are in place that they’d have to go through even more steps such as learning English and taking civics classes, more background checks in order to obtain permanent residency. And the Senate proposal states that they would not have preferential treatment over legal immigrants that are playing by the rules. As for actual citizenship, that would be left up to the individual to apply for. How does this work in the real world? It does sound good in theory, but it will all hinge on getting the people to come out from the shadows which could be decided on if they can afford to pay the fee and back taxes. We have to remember that they haven’t had to pay anything yet while living here, so they must be convinced that it is in their best interest to do so. There would be an exception to the above paragraph and that would be seasonal agricultural workers and those that came into the country illegally as children. The Guest Worker Program for seasonal agricultural workers is nothing new. It was proposed in 2007 by President George W. Bush. It never gained much traction as congressional Democrats were opposed to it, which included then-Senator Barack Obama. Now Democrats and President Obama are singing a different tune when it comes to this. Why you might ask? Political points in the end as they would get the credit for it. Some might say that this is illegal immigrants taking the jobs of Americans, but I still don’t see many Americans lining up to work in the agricultural fields. Children brought here illegally is also not a new topic. The DREAM Act, a Democratic piece of legislation to address this issue, died in the last session of Congress. Even Sen. Marco Rubio (R-FL) came up with a piece of legislation in the last session that was very similar to the Democratic plan, but it didn’t gain any traction. (DREAM A Little Dream) In the new Senate proposal, children would not be held responsible for the actions of their parents. There are two ways to look at this issue. One would be to keep them out of the system though them being here is not any fault of their own. As children, we don’t really get much of a choice in where are parents live. We just have to go along. The other side is something that the state of Texas did… and this is with a Republican legislature and Texas Governor Rick Perry’s support. It also hurt him in the 2012 Republican presidential primaries. They allowed illegal children to apply for college and get in-state tuition and financial assistance. We might be saying that the tuition money should have gone to American children, but let me step outside that box for just a moment. Without an education, these children are more likely to be on the streets and into crime thus they would probably end up in our prisons where we, as taxpayers, pay for them. Even with a basic education, they might get a low-paying job. Again, we would still end up paying for them in some form. But now, let’s give them a college education and give them the ability to compete for a high-paying job. Now they can pay for themselves and pay into the system. Yes, we have a high unemployment rate in this country. People need work. But the best person for the job should be getting the job. There is one last major part to all of this. Without it, all of this will be in vain. There has to be a complete overhaul of the legal immigration system. It’s like trying to get rid of a weed. If you just cut it off, it grows back. You have to pull it out by the root in order to get rid of it. Our legal immigration system is the root of this entire issue. It must be completely overhauled… which includes streamlining the system and getting rid of the cap on how many the government will approve in a year. That number is usually filled by the end of January. Microsoft is but one company that cannot fill all its current job openings because Americans just aren’t fitting them, and they can’t bring in others because the government won’t approve their visas. Now yes, this is a failure of our education system not preparing students for the jobs of today, but it is also a failure of our immigration system. Rather than have these jobs sit empty, companies should be allowed to bring workers here legally (when there are not enough Americans to fill these jobs). If we allowed legal immigrants to come into this country for a job, then they would be paying taxes as well which is beneficial to the country as a whole. 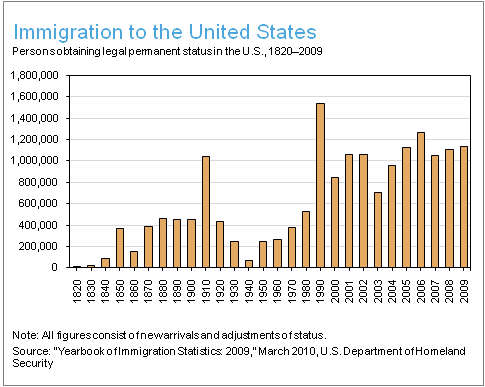 That is only part of the legal immigration problem. One of the biggest hurdles is the amount of time it takes to get permission to come here legally. In a blog written in 2011, Perfect Strangers, I wrote that according to the Immigration Department, it takes almost 25-years for someone coming from Mexico to immigrate to the US legally. Who is going to wait that long? It should not even take one year to be either approved or denied. The problem is that illegal immigration becomes easier to do with all the dysfunction that comes with attempting to do it legally. If we really want to start curbing illegal immigration, then we have to make legal immigration simpler. It is important to remember that this was only a proposal by these eight Senators (4-Democrats and 4-Republicans). We will have to wait and see what the actual legislation is and then determine if it will fly high or fall flat on its face. The basic mechanisms are there for it to be something good, but it will come down to the details, and we will have to wait and see what the end result will be. Also keep in mind that just because something sounds good on paper doesn’t mean that it will work in the real world. We need a piece of legislation that will work in reality… something that is enforceable and doable.